Are you looking for a product which gives a gorgeous glow, is multi-purpose and presented beautifully? 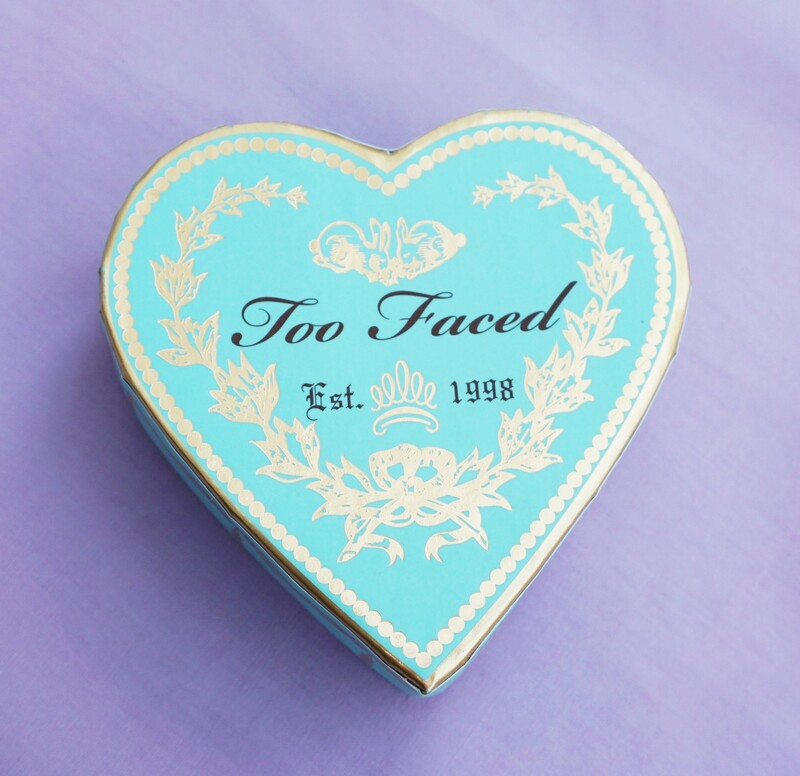 If so, look no further than the Too Faced Sweethearts collection. 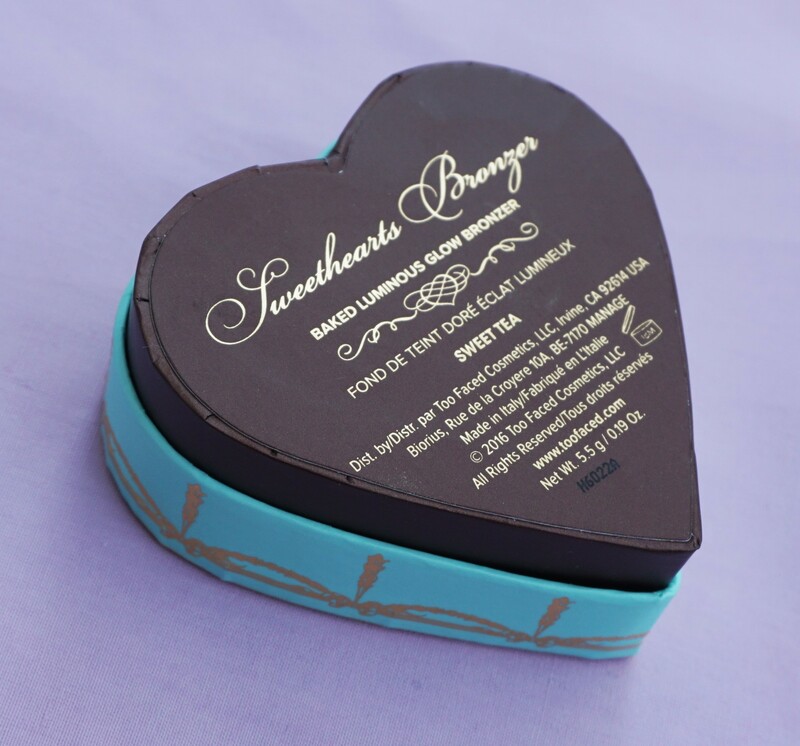 The Sweethearts range includes the Sweet Tea Bronzer and four boxed blushers, all which come beautifully packaged. You can read my post on the Sweethearts blusher in ‘Sparkling Bellini’ here. 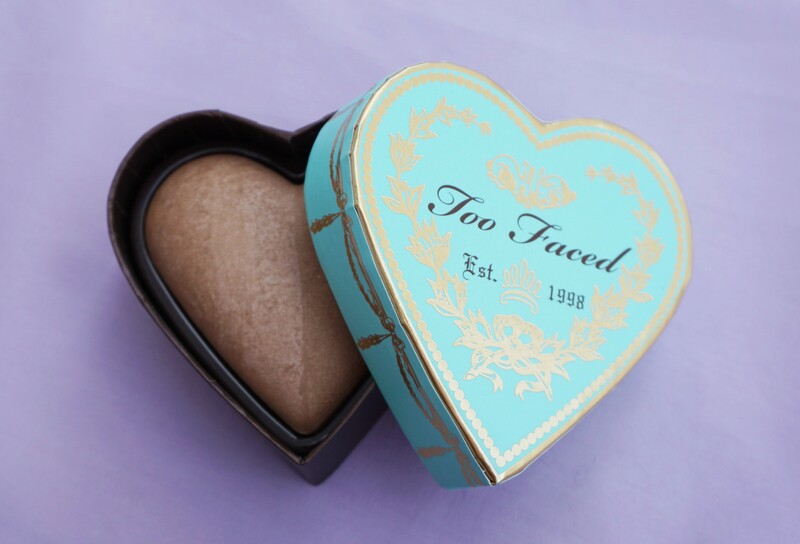 I recently purchased the Too Faced Sweethearts Bronzer in Sweet Tea and I absolutely love it. Functional, glowy and also stylishly presented – what’s not to love?! This product is fantastic if you want something which gives you a sun-kissed finish and also looks wonderful on your dressing table. It is also wonderful as a gift, in that it comes beautifully presented in the outer box and the inner packaging. 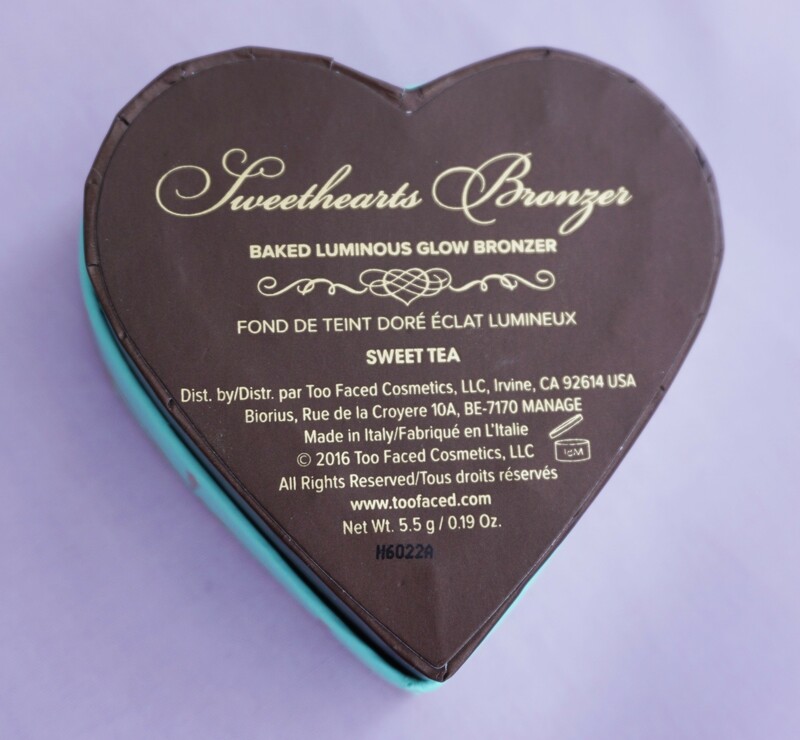 Sweet Tea Bronzer comes stored in an aqua box with gold etching and black writing. The information on the back says that you can either use the two shades individually or swirl them together for an all-over, multi-dimensional glow. 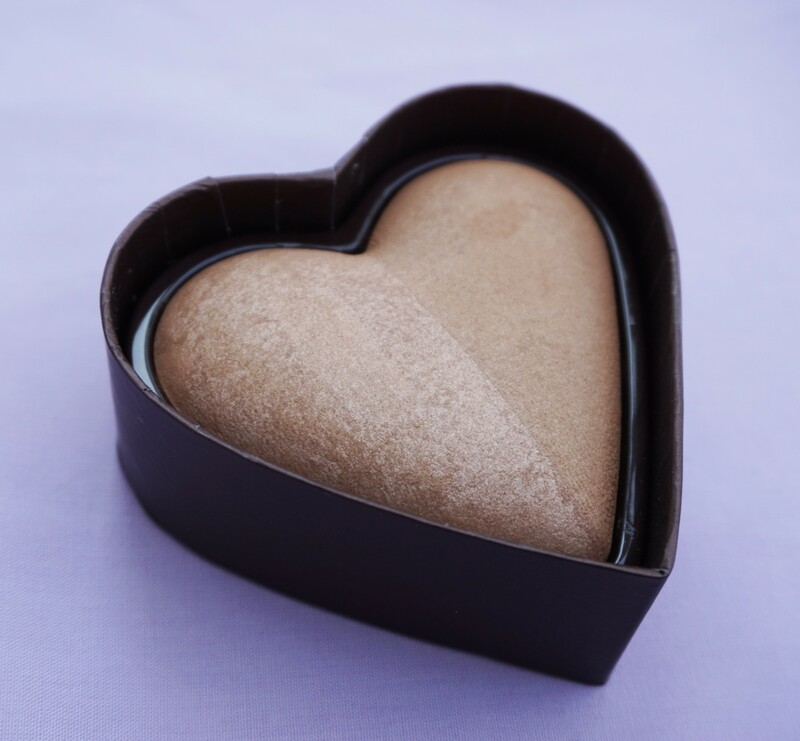 The bronzer itself comes encased in a deep chocolate brown, heart shaped box. It is topped with an aqua lid mimicking the outer box colour scheme. The back of the box has the product and shade name printed on it – always helpful if you want to re-purchase but can’t remember which shade you owned previously. The bronzer itself is split into two colour sections. The one on the left is a soft golden-brown. The right shade is a slightly deeper, toffee-brown. The shades have a slight sheen to them, without being overly shimmery or glittery. When I use them individually, I use the toffee-brown shade (on right in photos above) under the cheekbone to contour slightly and bring it up a little to add some warmth. I then sweep the golden-brown shade (on left in photos above) just above where I placed the toffee-brown shade and bring it up a little on to the cheekbone. Or you can just use one shade on its own, if that’s your preference. When I use them together, I swirl my brush over both colours (where they meet in the middle of the heart shape) and sweep them on just under my cheekbones and slightly upwards. I find that this gives my cheeks some warm and extra shape. You can either use the bronzer on its own for a gorgeous glow or you can also add in some blusher for a little colour. I also like to add a little highlighter on the tops of my cheekbones to add extra radiance and dimension. What brushes can you use with this product? 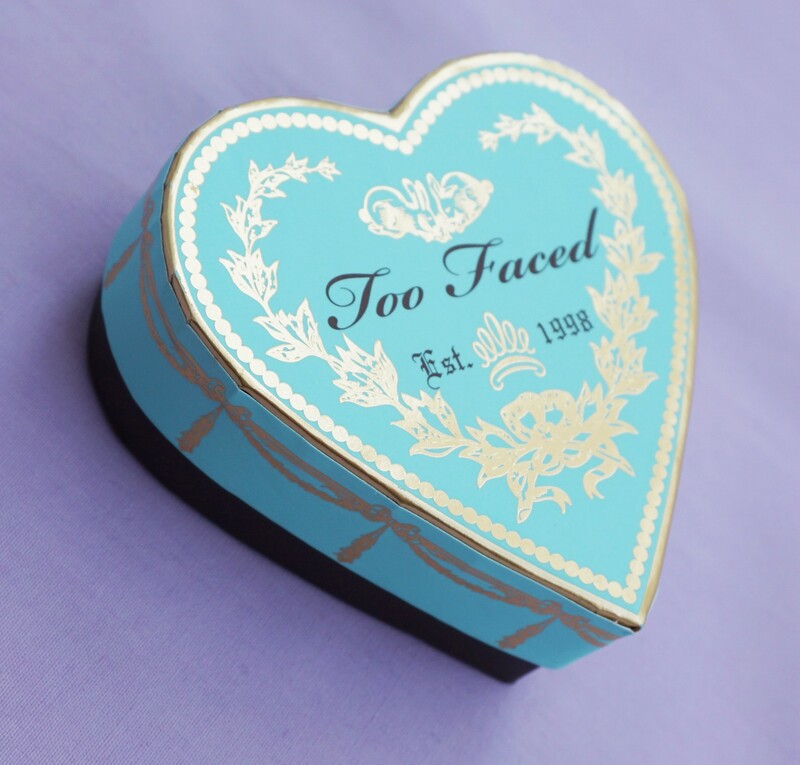 Too Faced Sweetheart Bronzer costs £25 and is available from Debenhams and various online retailers in the UK. It isn’t cheap but I can see this product lasting me for ages. I can see it being well used, especially during the summer months or when I feel like creating a bronzed look. If blusher is more your thing, then the Sweethearts range has four blushers (Peach Beach, Something About Berry, Candy Glow and Sparkling Bellini). You can read my post on Sparkling Bellini here. The blushers are slightly different, in that the inner heart shape is split into four complementary strips of colour, rather than two (like the bronzer). The blusher version costs £24, rather than £25, so you can save £1 on this product. 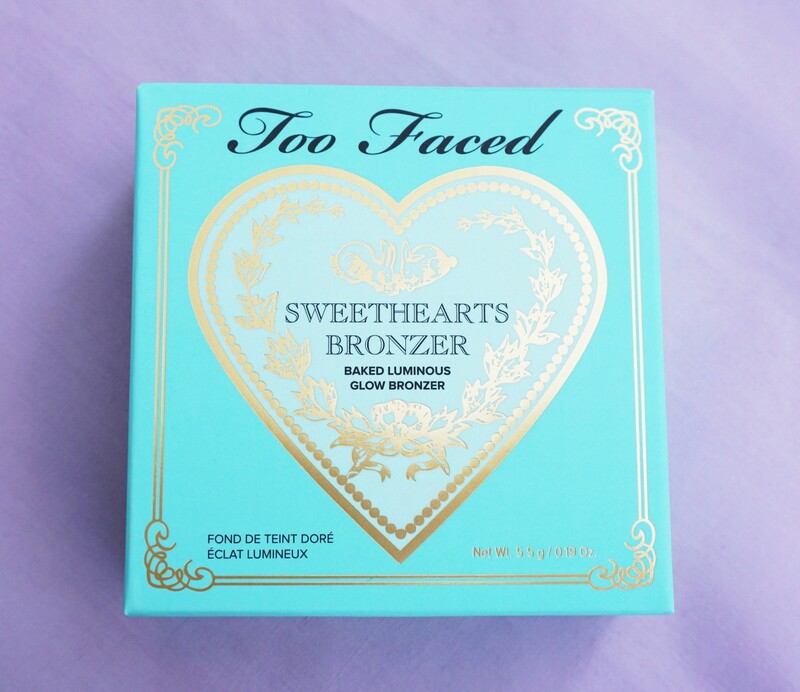 Have you tried the Too Faced Sweethearts Bronzer in Too Faced? 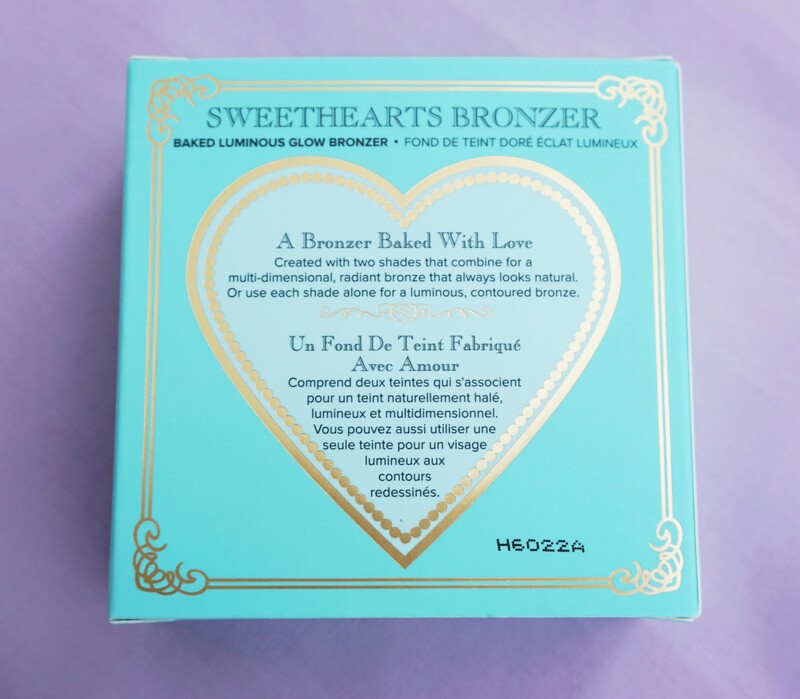 Or have you tried any other products from the Sweethearts collection? Let me know in the comments section below. Hey Saira! I recently bought one of the Sweetheart blushers in “Peach Beach” and I just love it. It’s just like you described–shimmery but not too glittery, really gorgeous color! It actually has 3 different shades and I love to swirl them all together. I have never used a bronzer before, not entirely sure how, TBH! But still intrigued. Might have to give it a shot and play around with it! Hey Julie! Oooooh, Peach Beach sounds nice. I have looked at the Sweethearts blushers but don’t have any at the moment. I might have to get one….! I am pretty new to bronzers too. It can be tricky to find one which is the right shade – some can have too much orange in them. I like the Too Faced one as it has a really nice mix of gold and brown. It adds some warmth, without being orangey or looking muddy. The Charlotte Tilbury Bronze and Glow palette is gorgeous too, but it is very expensive. I have a mini version in her ‘Instant Look in the Palette’ and it is wonderful. I might try and do a review of the palette on the site soon. It’s a great way to try some of her products at a cheaper price. 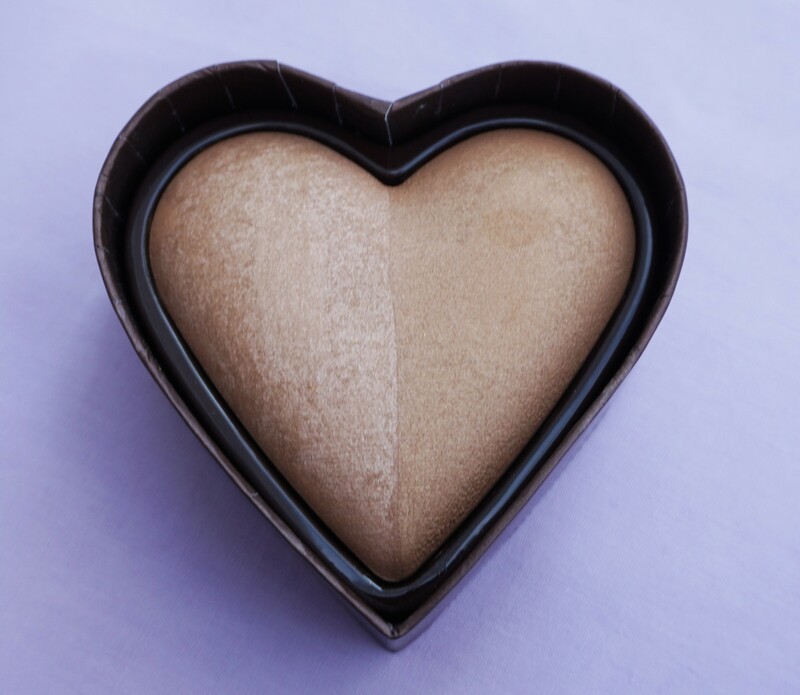 If you aren’t sure if you will like bronzer, though, it might be worth trying out a cheaper drugstore version so you can see whether or not you like the effect. One of the suggested ways of using bronzer is to apply it in a figure of ‘3’ on your face (on each side). You start with your forehead, sweep it in a round motion down under your cheekbone and then round again under the side of your chin. I’ve done this once or twice but I am always worried about over applying the product. I usually prefer to sweep a little underneath my cheekbones and then lightly drag it up into the cheekbone area. I also dot a little around the edges of my forehead, close to the hairline. When I am new to a product, then I sometimes try it out later in the day when I know I’m not going anywhere. That means if I mess up the application, I know I don’t have to go out and have people see me, lol! I can just wash it off before bed and try it again another time. Over time, I find I start to learn how to use it and then venture out in the daytime with it on.